Starting this Sunday we will take the next six weeks to consider the story of Jonah. This story is more than a runaway prophet turned right. In Jonah’s rebellion, we find a story that calls us to flee from the hardness that grace-less religion can create. Likewise, in God’s grace to Nineveh, we find a glimpse of the surpassing beauty of God’s salvation offered to all who repent and believe. The book of Jonah is short (four chapters and 48 verses), and yet it demands a lot from its readers. It is a well-crafted narrative that is organized in at least four chiasms. Likewise, the book is best understood in combination with the rest of the Minor Prophets---consider the way in which Jonah's rebellion mirrors that of Edom in Obadiah. Still, even though Jonah demands a lot from its readers, it also gives its readers an incredible vision of God, his grace, his power, and his purpose among the nations. 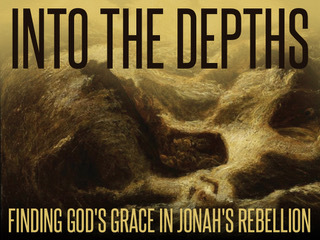 In other words, in the rebellion of Jonah, a prophet of the Lord, we find much about God's grace. Over the next two months, we will be spending our time in this book, so let me introduce a few themes we will see again and again---namely, God's sovereignty, the book's satire, and promise of second chances for sinners who repent and turn to God. First, the book displays the sovereignty of God over all creation and all nations. In Jonah 1, the Lord hurls a storm at Jonah when the prophet runs from the Lord (v. 4). Then, when the sailors were unable to row out of the storm (v. 13) and were forced to throw Jonah overboard, the Lord appointed a great fish to swallow Jonah, miraculously saving him from a watery grave (v. 17). Likewise, in chapter 4, the Lord appointed a plant (v. 6), a worm (v. 7), and a wind (v. 8) to chasten the rebellious prophet. In all of these steps, we learn how the God of creation uses secondary means to accomplish his purposes. In addition to God's rule over creation, the book of Jonah also shows the sovereignty of God over all nations. In chapter 1 we see pagan sailors come to an understanding and fear of the Lord (v. 16). Likewise, in chapter 3 the whole city of Nineveh---king and cow included---repent, fast, and cry out for Yahweh's mercy. In these instances, Jonah teaches us that God cares about all nations, not just Israel (cf. Isaiah 19:19–25), a lesson that Israel needed to learn. Second, the book of Jonah is filled with satire. Instead of finding a godly prophet who represents the Lord with faithfulness, we find a wicked prophet who represents the sin of Israel. Unlike Hosea who portrayed the Lord to the people, we find in Jonah a Gomer who portrays Israel as a rebellious people. In contrast to Jonah who flees from the Lord and goes down into the depths, we find pagan sailors and Assyrian enemies coming closer to the Lord as they repent and offer sacrifices to Israel's God. All of these events are backwards to what we find in other prophetic books, and they teach us that Jonah is not a simple story of historical detail. It is a satire filled with irony and indictment upon Israel. Therefore, we must read Jonah with caution. It is not a tale of the prophet's second chance. Rather, in his rebellion, God exposes the heart of Israel, a people who can put God's words on their mouths, as in Jonah's prayer, but who struggle to have a heart for God and mercy for others. In this way, the book is meant to expose the heart of the reader, who in Jonah's day and ours, needs to repent of religious smugness and receive God's grace in order to be gracious to others. Third, Jonah is a book of second chances, but not in the way we typically think. Often the book is described as Jonah's second chance, but this is only minimally true. Yes, Jonah 3:1 shows Jonah resuming the commission he was given in the first chapter. However, by the end of the book, it is clear Jonah has not changed and his second chance has only solidified the anger and wickedness of his character. Instead, the prime focus of second chances is found in the pagan sailors and the wicked Ninevites. In both instances, and in spite of all Jonah's efforts, we find the nations coming to acknowledge the one, true, and living God. This displays the missionary heart of God and the place of the nations in God's plan of redemption. From the beginning (see Genesis 12:1--3), God has desired to bless all nations through the nation of Israel. In the book of Jonah, this desire is evidenced and takes another step forward towards God's ultimate goal---the coming of Jesus Christ. In Jesus, we find a true seed of Israel, a true prophet, and the true Lord. Amazingly, the story of Jonah, which indicts Israel and interrogates the prophetic office, also foreshadows the events of Christ's life, namely the three days and three nights Jesus spent in the belly of the earth. All in all, Jonah is an amazing book. But it is one that requires repeated readings, a willingness to look for the author’s literary purposes, and a commitment to the God who created the world, controls all creation, and directs all history to the true prophet, priest, and king---Jesus Christ. Let me encourage you to read the book and pray for the God of Jonah to use his story to expose our sin and seek his grace. In this way, the book of Jonah, which reveals so much about God's character, also transforms us as we gaze upon the God of Israel. May God be pleased to use his word to make us more like him as we study this ancient story. For more on this book, see this helpful video from The Bible Project.